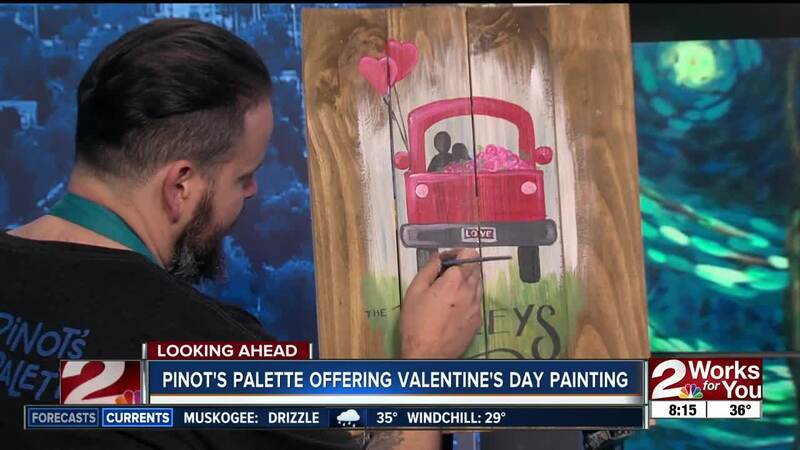 TULSA, Okla. — Two local artists from Pinot's Palette preview painting classes leading up to Valentines Day. 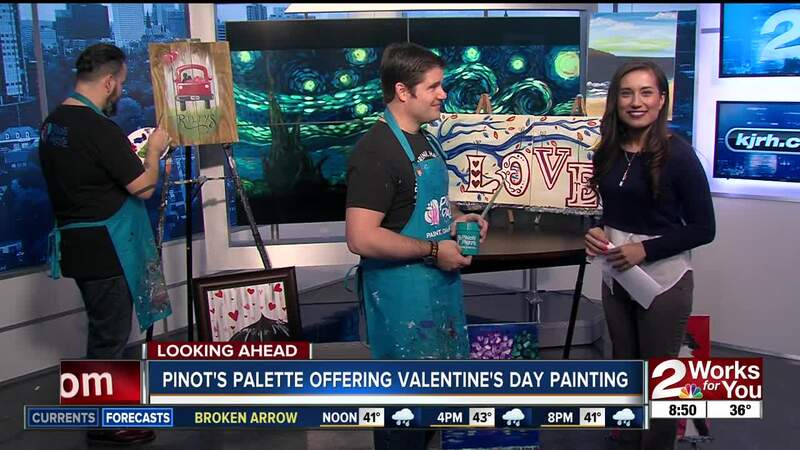 There are more than a dozen painting designs to choose from for you and your loved one at three different locations in town: Tulsa, Broken Arrow and Jenks. Each class lasts about two hours, and you can drink beer and wine while you paint. Prices range from $35 to about $50 per person. For more information on their events calendar, check out their website .